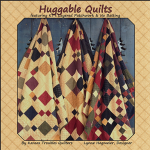 My cozy, huggable quilts are so easy to create! Start by sandwiching precut flannel Layer Cake squares back-to-back with no batting. Each block is layered with charm squares, topstitched and quilted, then sewn together with the seams exposed on the back. 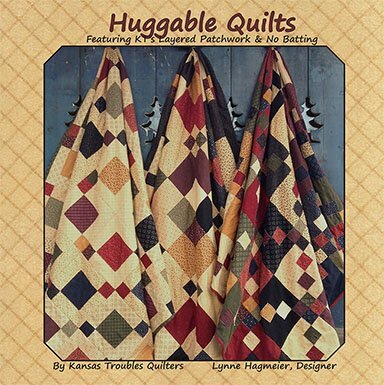 When washed these are the softest cuddliest quilts ever. Cut your own flannel Layer Cake squares (10"), Charm Pack squares (5') and Mini Charm Pack squares (2.5") using our Cozy Cottage Flannels fabric sold in 1/2 yd. increments.